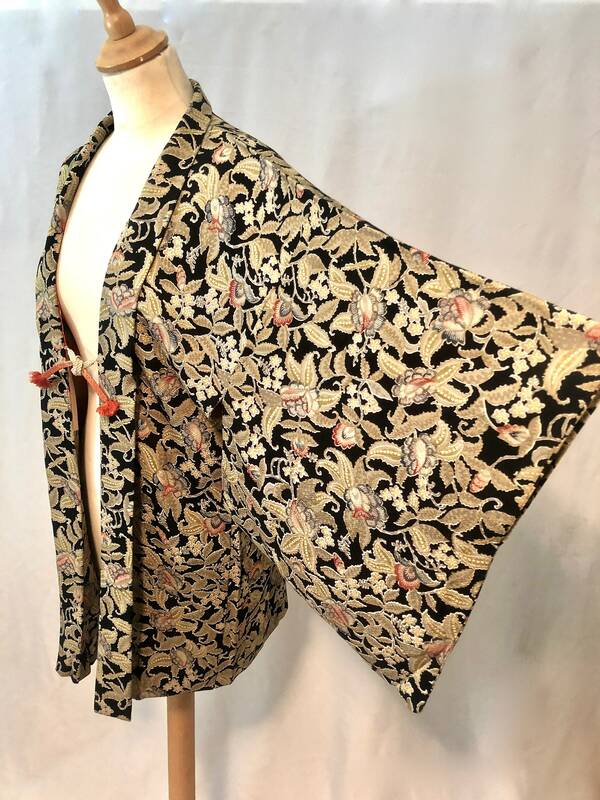 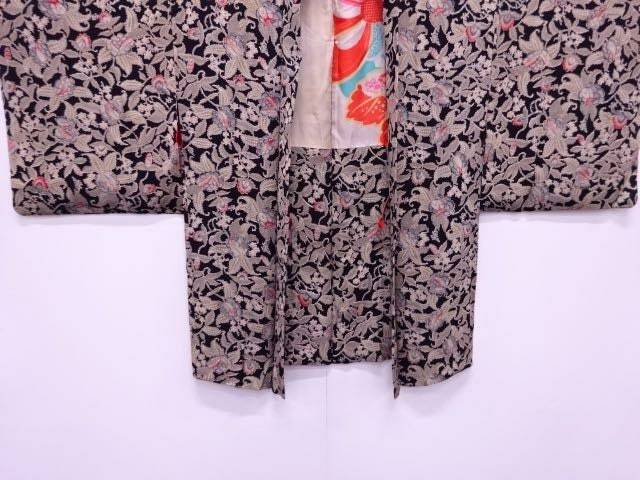 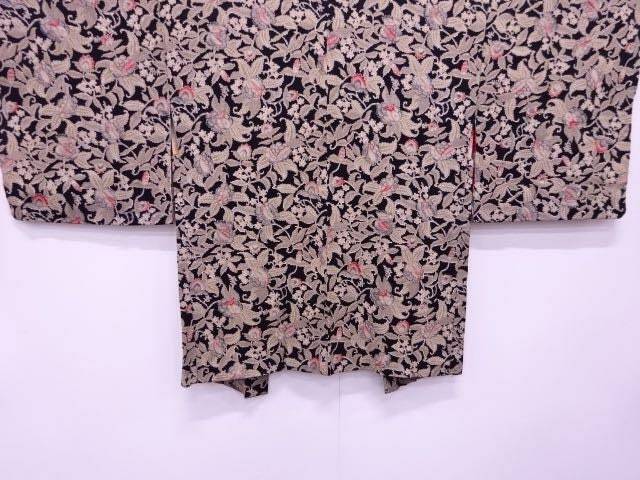 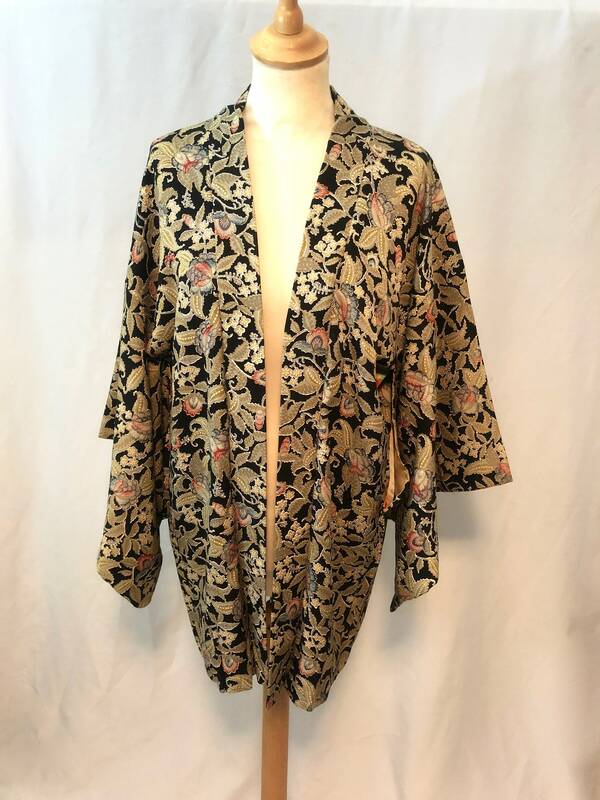 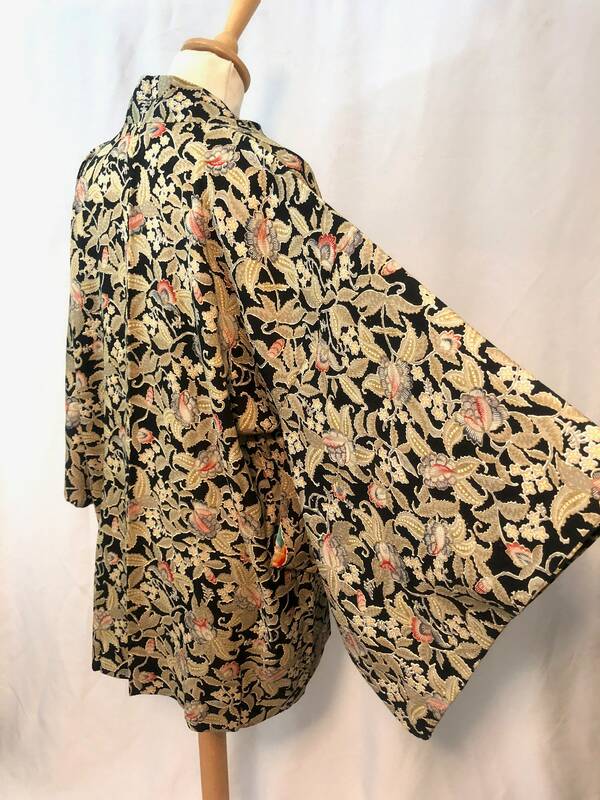 This is very elegant repeated Karabana floral pattern haori jacket. 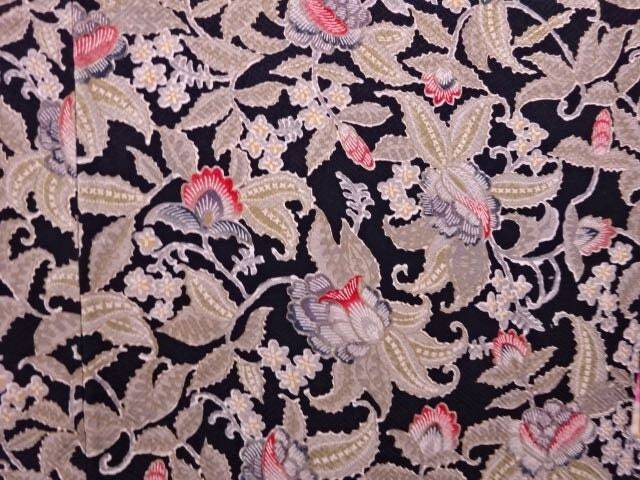 It doesn;t choose occasions - casual, formal or as a loungewear. 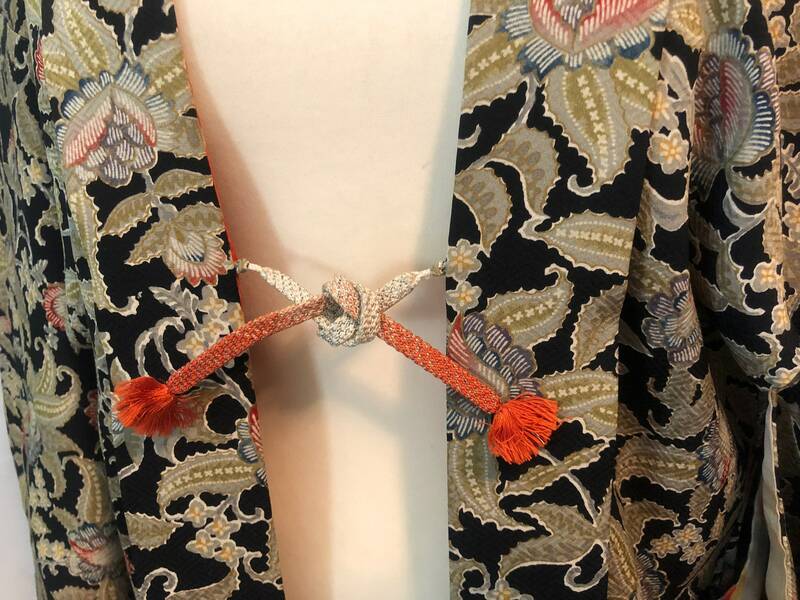 -Two silk strings (called haori-himo) to tie the jacket are attached inside the front panel. 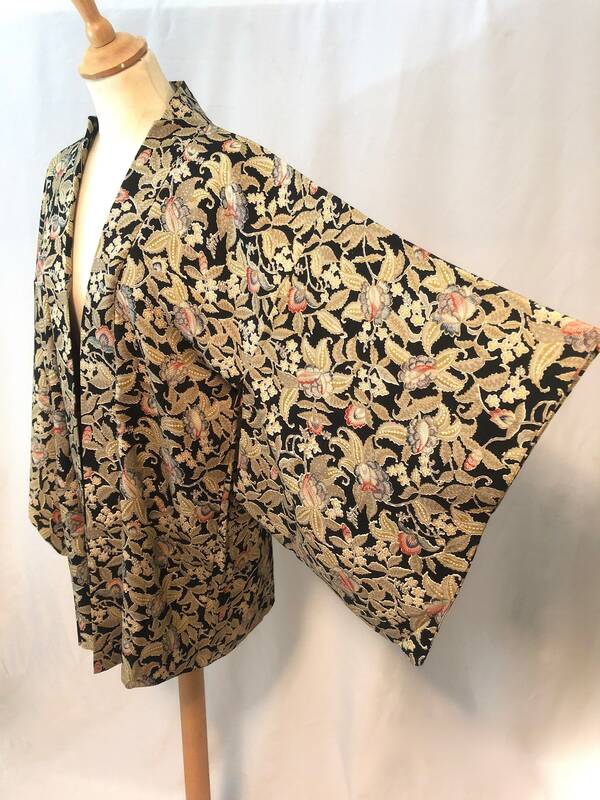 They are also made by silk handmade. 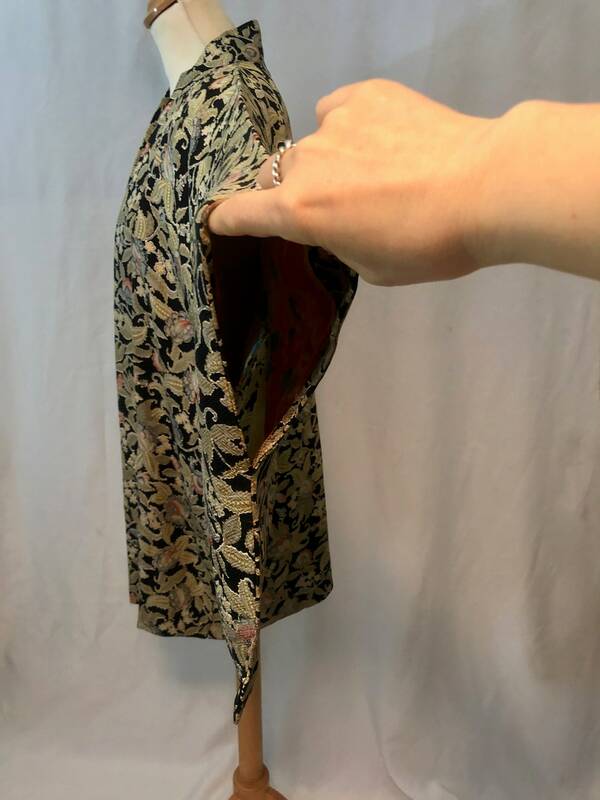 If you dont need these, you can detach from the little hoops. 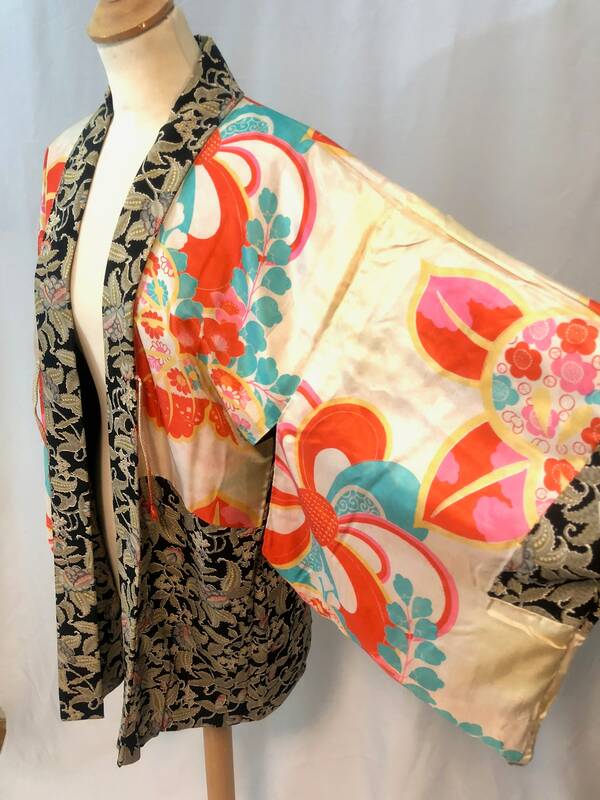 -excellent condition (please see pictures for closer looks).